You’ve spent a lot of money and time getting ready to exhibit at a conference. Don’t waste your money by decreasing your effectiveness. Here are 13 tips for exhibiting at attorney conferences. The 13 tips for exhibiting at attorney conferences. Sign up for this on demand online training at this link:​http://lnc.tips/tradeshows. Discover tips for exhibiting at attorney conferences. 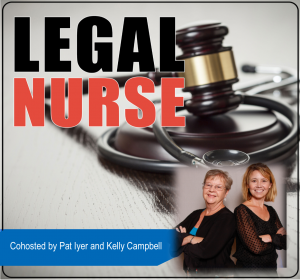 Pat Iyer MSN RN LNCC built a successful legal nurse consulting business which she was able to sell. This is an unusual feat in a services business. Pat built her business by exhibiting and shares herbest experiences and tips with you in this podcast.